HONG KONG, 25 October, 2013 - Advanced Card Systems Ltd. (ACS, a wholly owned subsidiary of Advanced Card Systems Holdings Ltd., SEHK: 8210), Asia Pacific's top supplier and one of the world's top 3 suppliers of PC-linked smart card readers (Source: Frost & Sullivan), has been awarded the Machinery and Machine Tools Design Certificate of Merit in the 2013 Hong Kong Awards for Industries (HKAI). The award recognizes ACS’s ACR320 Ticket Validator, a powerful all-in-one Automatic Fare Collection (AFC) device for public transport. 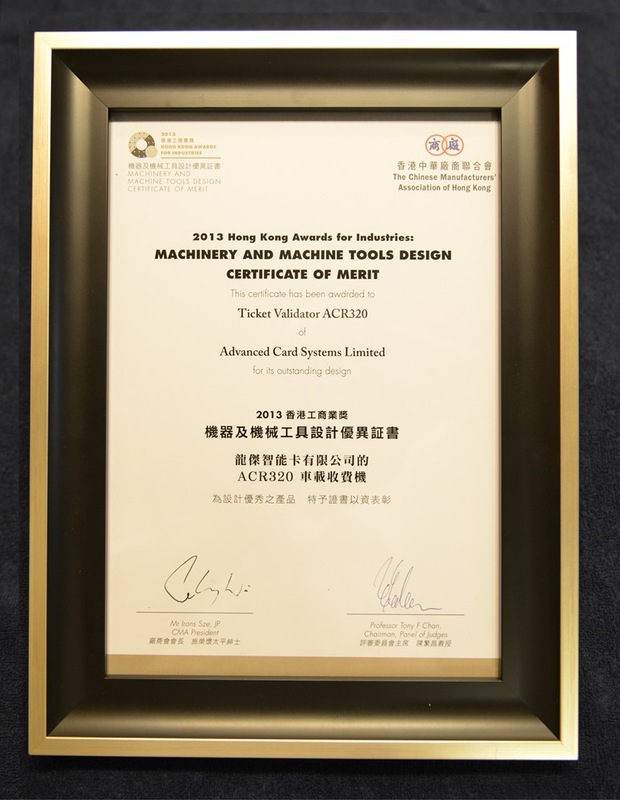 ACS last received recognition in this category in 2009, when the HKAI awarded a Certificate of Merit to ACS’s eH880 eHealth Smart Card Terminal. Entries are evaluated in terms of innovation, application of technology, functionality, ergonomics, cost performance, marketability, safety, and environmental impact. 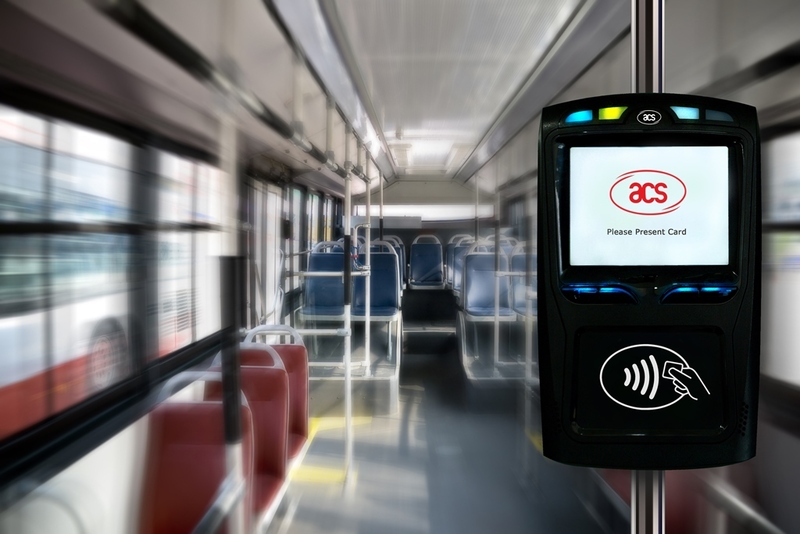 The ACR320 Ticket Validator includes a GPS module, which enables distance-based fare collection and aids in fleet management. Supporting ISO14443 Type A &B, Mifare, and NFC-compliant cards, it is in keeping with the cashless trend, widely predicted to be the way of the future. It is also built with a strong 32-bit ARM11 processor which can complete typical transactions in 300 milliseconds (including recovery and backup). Apart from the GPS module, it supports different connection modes for data transfer, including Wifi, 3G and Bluetooth. Dust and water-resistant, it is incorporated with over-voltage and over-current protection, card authenticity and validity checking, blacklist checking, and touchscreen capabilities. 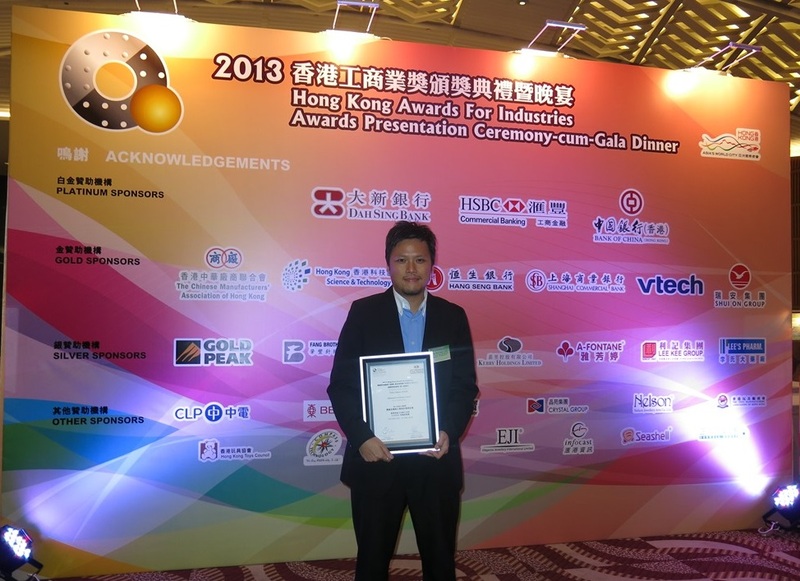 The Hong Kong Awards for Industries (HKAI) is an annual initiative of the government of Hong Kong, to recognize excellence in high-technology and high value-added activities of private organizations. There are six categories: Consumer Product Design, Machinery and Machine Tools Design, Customer Service, Innovation and Creativity, Productivity and Quality, and Technological Achievement. Chaired by the Director-General of Trade and Industry, a committee composed of different trade and industrial organizations and industrial support bodies throughout Hong Kong evaluate entries to this prestigious competition. To learn more about the HKAI, please visit: http://www.hkindustryaward.org.